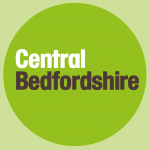 Bridgwater skatepark was designed and built by 1Skateparks, opening in 2013. It is a large all concrete park that holds both street and transition elements and can be found behind the YMCA. 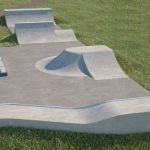 The skatepark is centred around a funbox with a hubba and leading off of this are a series of runs that are made up of flat banks, ledges, and quarter pipes. Either side of these are two back and forth runs, one being more rhythm focused having two quarter pipes facing each other with a jump box and roll over in between them. The other side of the course has a street oriented back and forth run that starts with a quarter pipe one on side that opens into a double flat bank with rail that leads up to an upper level with a quarter pipe with brick section inset on top and a hipped bank leading down to the lower level and the course then finishes with a flat bank for returning. The back of the street run here leads up to the bowl section that is comprised of two parts, one is a rectangular flat bottomed bowl the corner of which opens into a deeper circular speed bowl with an extension with pool coping around the edge. 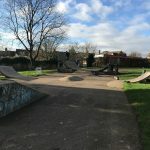 Bridgwater skatepark is a great local spot with literally something for everyone of all abilities, whether you ride street or transition. The surfaces are smooth and the arrangement has been creatively designed to make good use of the available obstacles and space, you should definitely get down here and check it out. Bridgwater train station: Exit Bridgwater station onto Wellington Road and follow it around until St Johns Street. Take this road and continue along it until the crossing, cross over onto Eastover and follow the road continuing over the river onto Fore Street and then onto High Street. When it meets Broadway head south until Friarn Avenue and Bridgwater YMCA skatepark will be here. The Shops bus stop: Exit the bus onto West Street and head east until Broadway. 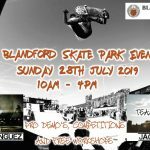 Here, head south until Friarn Avenue and Bridgwater YMCA skatepark will be here. There are no on site toilets but there are free to use facilities nearby in the YMCA.